A huge research and worldwide clinical investigations have concluded that late-life depression can not only be linked with social isolation, health-related issues, and disturbed life; but may also lead to vascular dementia or Alzheimer’s disease. A recent survey initiated by the World Health Organisation have clarified that the condition is dramatically being experienced by the elderly population all over the globe. Alzheimer’s disorder is a type of neurodegenerative condition, wherein the unnecessary deposition of protein flakes can interrupt normal communication between brain cells responsible for cognitive functions and memory. Symptoms with early Alzheimer’s and dementia are commonly relative and are hard to be differentiated. As scientists are working more prominently to unravel the mysteries of Alzheimer’s disease and other forms of dementia; it is also very important to extricate its connection with depression and ease day to day living to some extent. In this regard, the article is all about exploring how depression is associated with Alzheimer’s disorders and what treatment options are available in the current therapeutic module. 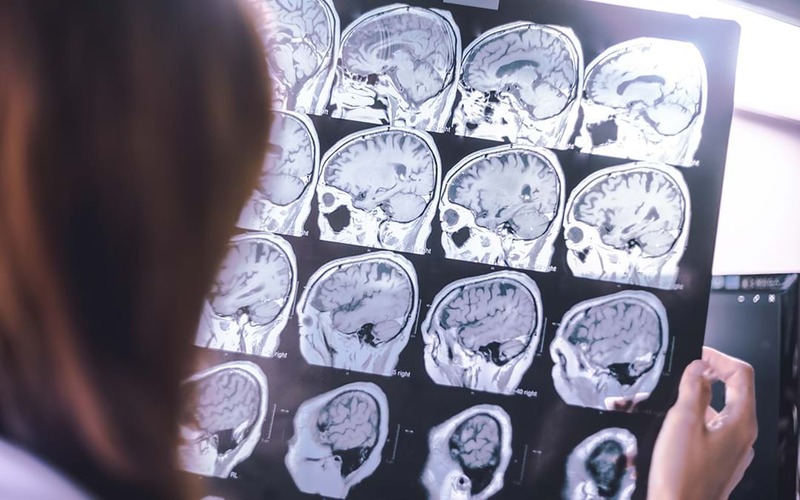 Due to the growing invention and applications of different biomarkers, Alzheimer’s disorder and other forms of dementia can now be detected at an early stage. Moreover, multiple diagnostic tests are now available like amyloid PET scan, which can identify the disability with a very high degree of accuracy. Studies could evaluate that early diagnosis of Alzheimer’s disease can interfere with different neurotransmitters that are responsible for regularizing mood; and hence, depression is always associated with Alzheimer’s disease due to brain alterations. Many people get confused with the “look-alike” between dementia syndrome of depression, wherein the patient has to deal with mental blockage as well as forgetfulness. As a matter of fact, reports also suggest that significant cognitive improvement can be achieved once the Alzheimer’s disease is being taken care of. What is being experienced by Alzheimer’s brain? Due to neuronal damage in the area of the frontal lobe, Alzheimer’s brain often experiences urgent apathy, wherein the person experience lack of ability in controlling motivation, planning as well as the sequencing of tasks. If not taken care of over the period of time, the apathy can get worse. If you or your loved ones are easily forgetting information such as important dates, meetings schedule, names, events etc. Or the same information is asked more and more frequently, then it’s the time you should get it investigated on an urgent basis. It is important for you to understand that routine medical intervention only can offer supportive treatments, but stem cell therapy can only be helpful in altering the root cause of the issue. Stem cells are naive cells of our body, with the ability to differentiate into cells of different tissue origin. The unlimited potential of stem cells has been exploited by medical science and is identified to be highly promising. Stem cells are obtained from the body’s own tissues such as bone marrow and adipose tissue and are processed in the laboratory for further enrichment. The enrich cocktail of cells is then inserted through lumbar application to allow them to reach to the brain and differentiate accordingly.